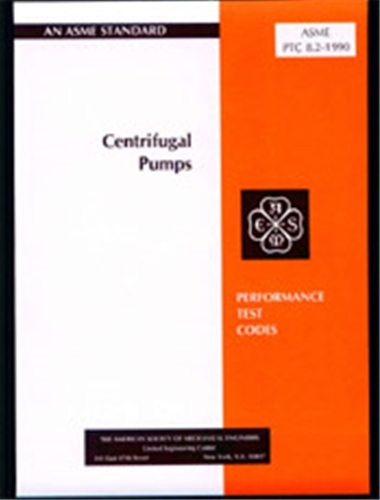 This Code provides directions for conducting and reporting performance tests of centrifugal pumps, including those of the mixed flow and axial flow types, under the following characteristics: (a) Total head produced by the pump; (b) Pump capacity (rate of flow through the pump); (c) Power input to the pump; (d) Efficiency; and (e) Net positive suction head requirements of the pump. This Code applies to the testing of pumps utilizing liquids or mixtures of miscible liquids which have Newtonian viscosity characteristics. In addition to the foregoing this Code provides nonmandatory appendices which provide guidance related to the application of this Code.